Between 2009 and 2014 DH Environmental Consulting (DHEC) undertook a series of aquatic environment assessments and investigations for the proposed Sitari Country Estate development, north of Macassar, Cape Town. This work culminated in the preparation of a concept design for the re-creation of the Klein Zeekoevlei wetland (a copy of the report may be found here). On 10 December 2014, a blogpost regarding the wetland appeared on the Sitari website, in which was stated that Bill Harding of DHEC would be “overseeing the remediation of the wetland at Sitari Country Estate”. A full copy of the post may be found here. The same article also appeared in SA Property News on 20 January 2015. Bill was the wetland specialist for the highly successful Century City (Intaka Island), Capricorn Business Park, Silvermine River Flood Management Scheme and Paardevlei wetlands. The Sitari post of 10 December 2014 was placed without our prior knowledge or consent. We condoned it, however (see our Twitterpost of 13 December 2014), on the basis of prior written indications from the developer that we would undertake the work. On 19 December 2014 an email from the developer’s agent indicated that a meeting to discuss going forward would take place early in 2015. Neither this meeting, nor any contact from the developer, transpired. It has recently (28 May 2015) come to DHEC’s knowledge that the wetland re-creation work has since been contracted to someone else. Accordingly we have objected to the continued, unsolicited and misleading use of Bill Harding’s name and association on their website and requested that it be removed with immediate effect. Furthermore, we wish to place on record that we have not been involved in any of the phases that are required to take the concept ideas into a working design, inclusive of the hydrological and water quality (stormwater treatment) models. 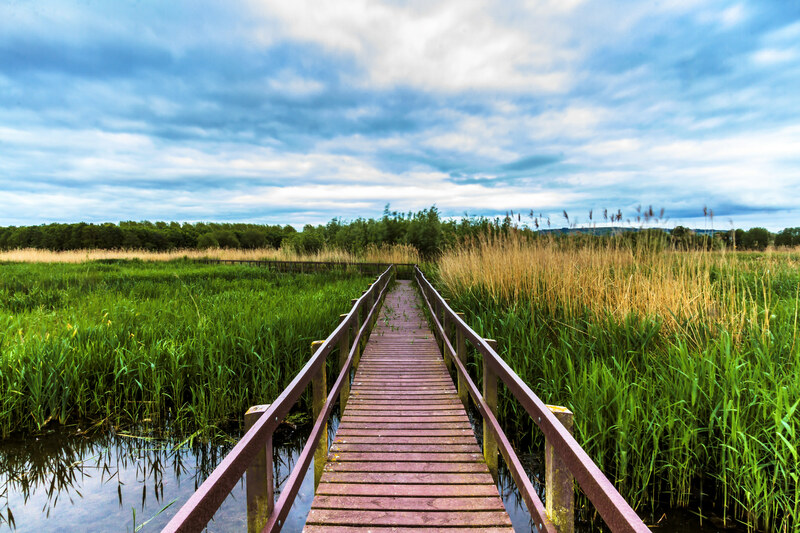 Last week the European Environment Agency released their ‘State of Nature in the EU‘ report, which uses comprehensive data collected across the continent between 2008-2012 assess the status of and trends in biodiversity and natural habitats across Europe. Data on Europe’s species and habitats was collected by individual countries (or member states) as part of monitoring for the Birds Directive and the Habitat Directive – European environmental policies designed to help guide conservation, protected area management and environmental restoration across the continent (more information on these at the bottom of the post). The results of the study for freshwaters are largely unfavourable. Around half of the conservation status of river and lake habitats and species reported to the Habitats Directive are deemed ‘unfavourable-inadequate‘. It is worth noting that the habitats and species assessed by the Habitats Directive were already deemed rare, endangered or otherwise threatened. However, the picture is still not positive: around a third of these conservation statuses are in decline, suggesting that a significant proportion of Europe’s freshwater species and habitats face significant threats to their health and diversity. Rivers and lakes were found to be most impacted by modifications to natural conditions (for example: river channel modification and fragmentation, water abstraction, draining of wetlands), water pollution and the impact of agriculture (e.g. fertiliser run-off). Changes to natural conditions were particularly damaging pressures for birds which live in freshwater habitats, presumably due to a reduction in available nesting and feeding sites. Protected area designation was reported as the most popular conservation measure implemented by member states to mitigate the identified threats for both birds and wider habitats. For non-bird species – largely fish, invertebrates and amphibians – conservation measures were more diverse, including restoring hydrological regimes, legally protecting habitats and species, and improving water quality. “The negative assessment of river and lake conservation status is in line with the results of the Water Framework Directive monitoring. Both the assessment under the Habitats Directive and under the Water Framework Directive rate the status of lakes and rivers quite negatively. The results are consistent but also quite surprising for many people who acknowledge the great improvement of water quality in recent decades. Strong pollution has vanished from European rivers and lakes – but biodiversity and ecosystem functions are still impoverished. The Birds Directive was set up in 1979, and aims to protect all wild birds with natural ranges inside Europe, and identifies 193 species which are in need of special conservation measures due variously to rarity, threat of extinction or loss of habitat. The Birds Directive also requires European member states to designate Special Protection Areas for the conservation of endangered bird species. The Habitats Directive was set up in 1992 with the aim of ensuring the conservation of rare, threatened or endemic species of plants and animals across Europe. The Directive covers over 1,250 species and 233 habitat types across the continent, and requires member states to designate and manage Special Areas of Conservation and implement other management measures to restrict the taking, capturing or killing of important plant and animal species.